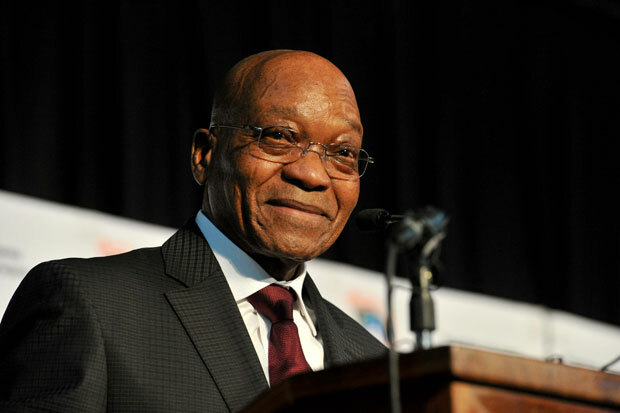 Since becoming president in 2009, Jacob Gedleyihlekisa Zuma has been met with a mix of controversy and praise. We were curious to delve into some of Zuma’s more positive social and political moves. Here are three things President Jacob Zuma has achieved. Having started his political career at the age of 17, Zuma began some initiatives to give all youths a fair chance at a thriving life. Before Zuma ascended to power, he established the Jacob Zuma RDP Educational Trust Fun in 1998, whose objectives included assisting children from impoverished backgrounds by providing them with an education. However, the foundation has run out of money, and cannot currently pay university fees for students as promised. Despite this, it is still a novel idea whose funds may still recuperate. Zuma also officially launched an online youth mentoring programme in 2015 called Mara-Mentor, which is a partnership between the National Youth Development Agency (NYDA) and the Mara Foundation. The tool aims to connect young entrepreneurs and industry experts who can provide advice and support. It can be accessed through the website or through the mobile application. The platform has more than 600 000 active entrepreneurs across 30 African countries. In the same year, Zuma also launched the Presidential Youth Working Group, which is made up of deputy ministers and youth organisations. It is chaired by Zuma, and is aimed at promoting youth participation in governance and policy making. According to Statistics SA, since Zuma came into office, life expectancy in South Africa has increased from 56.8 years in 2009 to 62.4 years in 2016. Deaths due to TB dropped from 69 916 in 2009 to 37 878 in 2015. The improvement is largely attributed to Zuma’s changes in government policy regarding the fight against HIV/Aids and TB, and policies that include improved access and increased uptake of ARV treatment, as well as a widespread HIV Counselling and Testing campaign. The National Strategic Plan for HIV, sexually transmitted diseases (STDs) and TB is based on a 20-year vision to significantly reduce the burden of these health crises in the country. Some goals include reducing new HIV infections from 270 000 a year to less than 100 000. It also aims to reduce new TB infections to less than 315 000 a year, as well as focus on key populations in each province and municipal districts with the highest burden. Since 2009, President Zuma has launched numerous infrastructure projects. Earlier this month, a R1.3-billion road was opened to connect the communities of Newlands, KwaMashu, Inanda, KwaDabeka, Clermont, New Germany and Pinetown in KwaZulu-Natal. Zuma also launched the first farm using the pilot phase of the policy framework on strengthening the relative rights of people working the land. The policy is known as the 50/50 farming policy, and opened at Westcliffe Farm in uMshwathi local municipality in KwaZulu-Natal last year. In addition, the Industrial Development Zones (IDZ) programme, which began in 2007, has escalated in recent years. IDZs allow for the economy to grow significantly by creating jobs and boosting exports. There are currently five IDZs in operation, namely the Coega IDZ, Richards Bay IDZ, East London IDZ, Saldanha Bay IDZ and the Dube Trade Port. Looking at the good, the bad and the ugly is a sure way to get a well-rounded understanding of the man that has served as the country’s president for two terms. And as it happens, it was not all bad.